This gorgeous piece has colors of pinks, blues, greens, and more. Will pick up any color you wear. 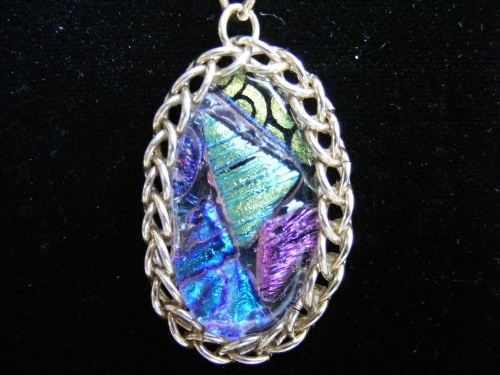 Encircled with chain maille design. Just a beautiful piece!! Measures 2" and does not come with a chain.